Bike 23 miles. Swim 1.3 miles. Hike 3 miles, then climb 6,000 feet straight up. Turn around. Then do it in reverse. When REI approached us with their mandate to elevate empowering stories of women in the outdoors, we knew a film on our good friend and ultrarunner Kelly Halpin would fit their vision. In Jackson, WY, there is a local tradition created by David Gonzalez called the “Picnic.” This unsanctioned Teton triathlon is a true testament to the endurance and athletic prowess of anyone brave enough to attempt it. Bike 23 miles from the town of Jackson to Grand Teton National Park. Swim 1.3 miles across Jenny Lake. Hike 3 miles, then climb 6,000 feet straight up Mt. Teewinot. Eat a donut, then turn around and do it all in reverse. Hike 3 miles, then climb 6,000 feet straight up. Do it all in reverse. David Gonzalez dreamt up the route for the Picnic in 2011. 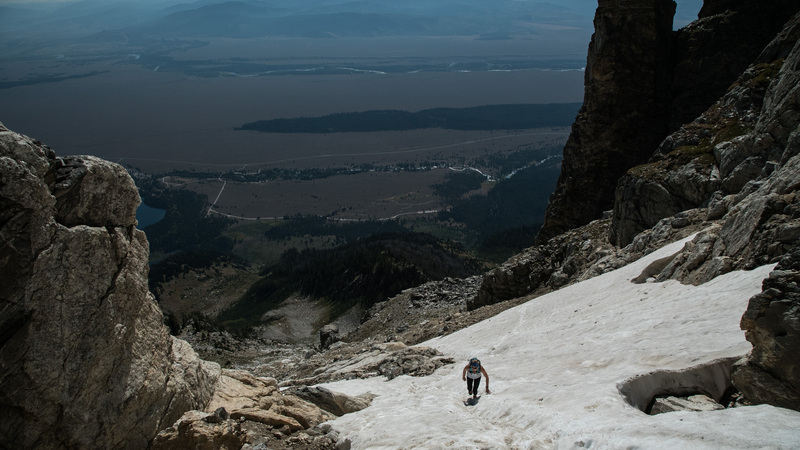 One of the truest tests of a person’s physical and mental capabilities, this unsanctioned triathlon in the Tetons has been completed only a handful of times. In 2014, Kelly Halpin was the first woman to successfully tackle the route, and she did so unsupported. No kayakers paddled alongside her. No one dropped food on the trail. No crew helped with popped bike tires. We sought to capture Kelly’s athletic feat in the most intimate way possible, so we had to do the entire Picnic with her. Kelly is also an incredible artist, so we incorporated her illustrations into the story. These illustrations provided insight into Kelly’s connection to the outdoors and her motivation to test her limits. 1:00 am — We met Kelly at her house where our DP shot handheld as she woke up and began her morning routine before hopping on her bike and heading towards town square. 2:30 am — We timed Kelly’s arrival at the town square to get the tracking shots you see in the piece. We had our DP ready on a skateboard with the ronin in hand, and as Kelly biked into the town square, we skated next to her to capture the shots. 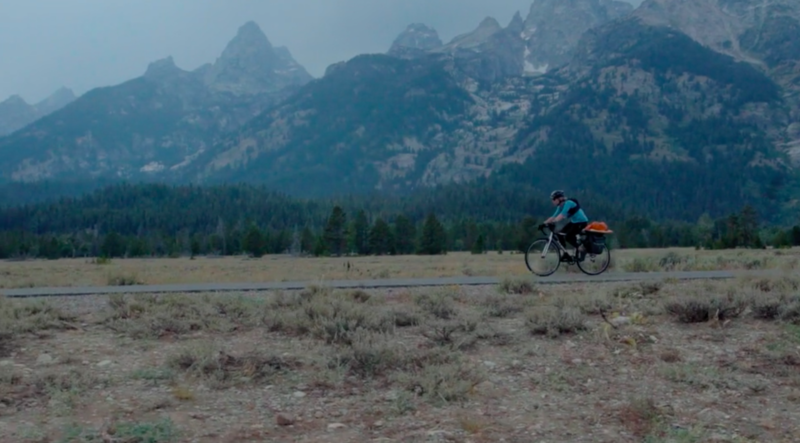 3:15 am — We shot out the back of the truck as Kelly biked towards the Grand Teton National Park. 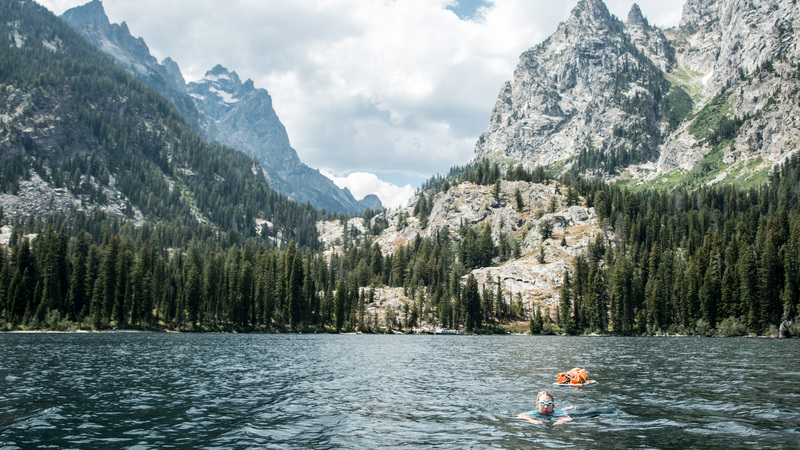 3:45 am — Galen and Phil were dropped off at the Jenny Lake Overlook to capture Kelly as she hopped into her wetsuit and began her swim across the lake under the stars. We put all of the expensive equipment into a canoe and filmed her as she swam across the lake. It was quite the experience canoeing under the stars in the middle of the night! 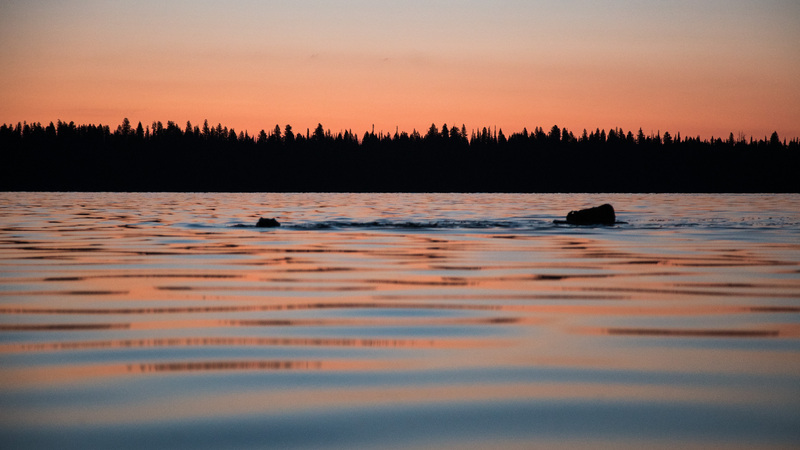 6:30 am — Galen and Phil canoed ahead and captured Kelly at the dock as she made it onto land, stored her gear, and prepared for the run and climb up Teewinot. 7:00 am — Zeppelin, who is the best endurance athlete of the group, followed Kelly as she ran the three miles to the base of Teewinot. 10:00 am — Kelly was about halfway up the mountain with Zeppelin close behind her. Phil and Galen were sleeping on the beach during the run, keeping an eye on the gear and the canoe. 12:30pm — Kelly made it to the peak and proceeded to eat the long awaited donut. Halfway there, now she just had to do the route in reverse! 3:30pm — Galen and Phil were ready with the canoe when Kelly came to the beach, and we filmed her swim back across the lake. 4:30pm — Kelly was back on the bike and on her way to town. We employed the same technique, shooting out the window as she trailed on her bike. And that is how you get it done with a crew of three! The piece is genuinely one of our higher performing content and people here are equally stoked. Our CMO came over the other day and started praising the piece unprompted.